The Quirino LRT Station is located between Pedro Gil station and Vito Cruz station. 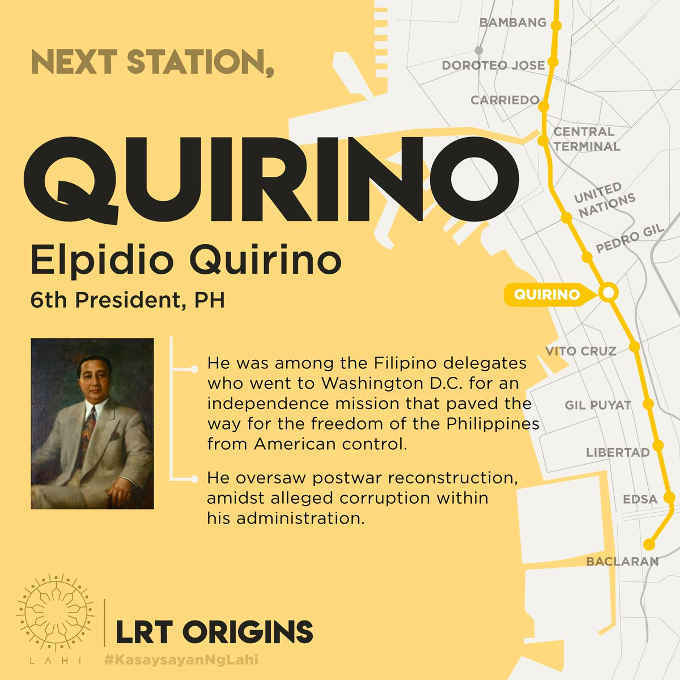 Quirino LRT Station was named after the 6th President of the Philippines, Elpidio Rivera Quirino. Quirino was among the Filipino delegates who went to Washington D.C. for an independence mission that paved the way for the freedom of the Philippines from American control. He oversaw postwar reconstruction, amidst alleged corruption within his administration.